It just wouldn't be Anzac Day without Anzac Biscuits. I did a round-up of healthy Anzac biscuits on Friday and then posted on Facebook yesterday that I also made some Really Healthy Anzac Biscuits. But I couldn't just leave it at that! We had friends around for breakfast today and I wanted to make something sweet to finish our meal. 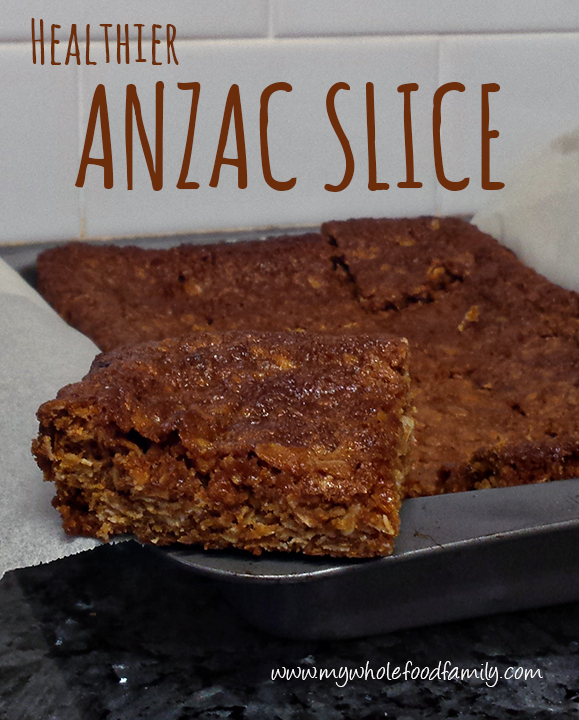 A quick search found lots of different recipes for Anzac Slice and I chose one to tweak. This is still very sweet and definitely a sometimes food but overall far healthier than the regular white flour and golden syrup varieties. It went down a treat - this recipe is a keeper! Preheat the oven to 180 degrees Celsius / 160 degrees fan-forced. Grease a slice pan (mine was 15 x 23 cm) and line with baking paper. Mix together the flour, oats, coconut and coconut sugar in a large bowl. Place the butter and syrup into a small pan and melt over medium heat. Add the bicarb and stir as it bubbles and froths. Pour into the dry ingredients and mix well. Tip the mixture into the prepared pan and smooth the top. Bake for approx 20 minutes or until golden brown and pulling away from the sides. Leave to cool in the pan before slicing into squares (12) or bars (16). 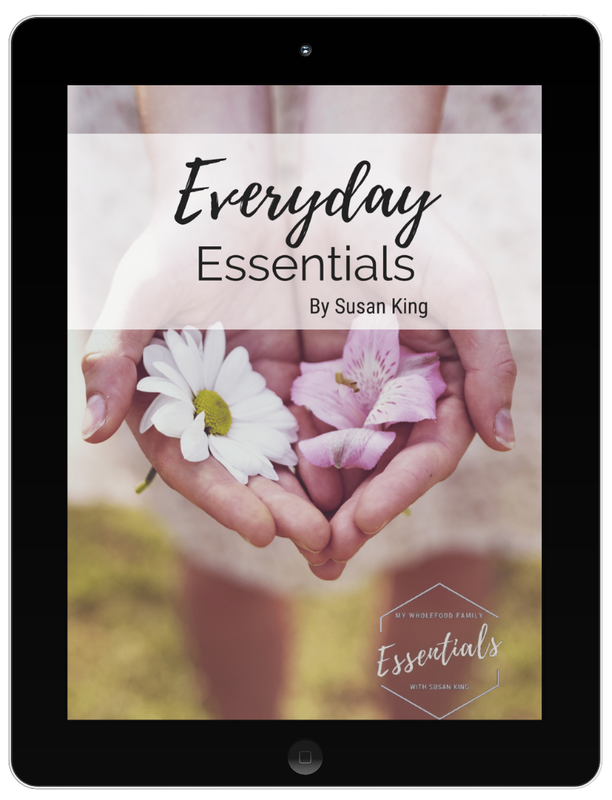 This is a really forgiving recipe and you can easily swap out the flour or sweeteners for whatever you happen to have.